The Waterfront District of Barcelona is located along the Mediterranean Sea between Playa de Llevant Beach and the Cruise Ship Terminal. 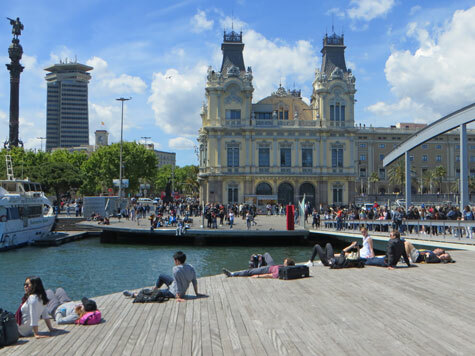 It includes Port Vell, historic Barceloneta and some 7 Mediterranean beaches. Top tourist attractions in this district include the Barcelona Aquarium, Blue Museum, Maritime Museum and historic Port Vell.